Pil Ju Kim, a North Korean defector. The life of Kim Pil-Ju (Pil-Ju Kim), a North Korean escapee, currently residing in South Korea. North Korea is a small country above South Korea and next to China. It is one of the most isolated countries in the world; no one knows what goes on inside except for its citizens. Each year, there is an increasing number of North Korean defectors – people who flee the country in hopes of a better life. In South Korea, roughly 30,000 defectors live freely. Only a few who speak out about their previous life in North Korea have been heard. They often describe the good and the bad that comes with living in the country. One man, Pil Ju Kim, lived in North Korea the majority of his life. He was a loyal citizen who loved his country; on the other hand, he described himself as being treated like a “criminal” despite his loyalty to the nation. Kim often starved and had little to no electricity. He remembers being put in an orphanage at a young age, while his mom saved up money for the two. During those times, he was fed one small meal a day; his only meal was a soup made from corn flour. Kim and his friends were starving. There came a day when Kim and his friend were sitting on the side of the road begging for money and food. His friend told him how sick and tired she felt, so he told her to take a nap. She fell asleep beside him and never woke up; he was only twelve years old. More than 300,000 North Koreans have experienced this same thing because of famine. Kim also described his limited rights and freedom as a North Korean citizen. He, like many, was curious about the outside world; therefore, he would illegally watch American films. Many others also continue to watch South Korean dramas and similar shows. From there, he began to learn more about the outside world and his curiosity expanded. 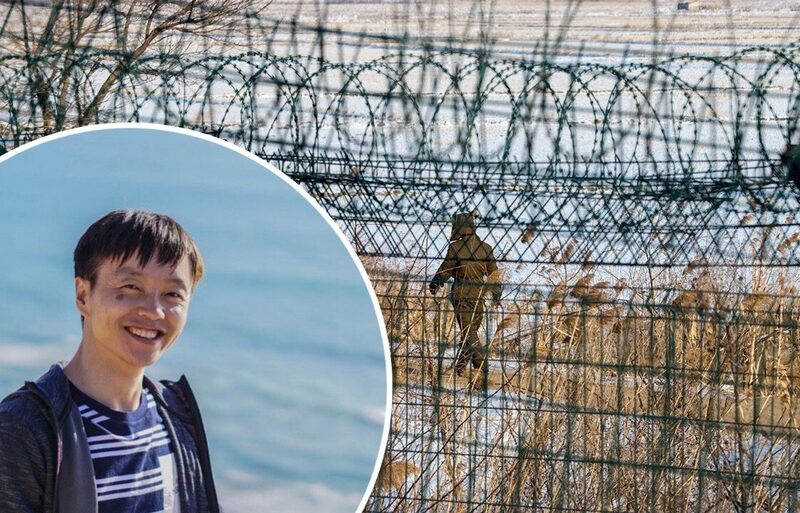 He and his mother attempted to escape North Korea twice. After crossing the frozen river into China, he and his mother were able to get a cab; another man entered the car with them. Kim told the driver about how they were all North Korean defects. It turned out to be his stepdad, who hated him and his mother deeply. The Chinese police caught them and returned the trio to their home country where they were interrogated; that form of interrogation was violent beatings. Thankfully, Kim and his mom did not die; rather they went to jail and made a successful escape years later. He and his mother fled to China once more and hid until the government began to fish out defectors since the Olympics in Beijing were approaching. From there, he fled to Mongolia, then to South Korea. Eleven years later, Kim told about his experiences in his home country. He saw many things people would consider to be horrid. People do not have the choice of what they want to wear, say, or do. The punishments for doing otherwise are severe, sometimes resulting in three generations of the family being put into labor camps after so many offenses. However, there are some things Kim misses about home. He said that in North Korea, people are not as stressed over work or school. They don’t focus on materialistic items like a large portion of the world does. Instead, students are encouraged to study only in school. Also, the community in North Korea is tight-knit, and everyone knows their neighbors. He once enjoyed knowing who lived in his area and having others to rely on. Even though people were struggling, they still had each other. More than anything, Kim wants to educate people on his experiences and the life of many North Koreans. He also hopes that one day, the two Koreas will unify and everyone will be able to live freely and healthily. Until that can happen, all people can do is raise awareness about their situation and understand that North Koreans are normal people as well. They still have happy moments. They still smile and create memories. They still deserve freedom.